Wyke is a 500h certified Vinyasa Flow teacher and has studied with teachers as Mandy Lathan, Marlene Henny, Sandra Carson, Lizzie Lasater, Mark Stephens, and Hilary Brown. 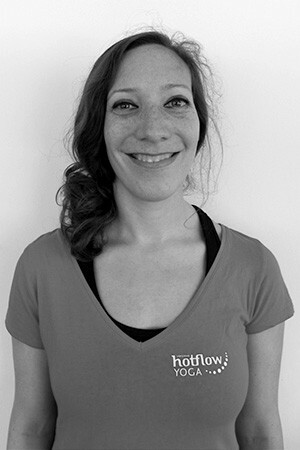 She teaches vinyasa flow, slow flow and restorative styled classes. She discovered the relationship between body, emotions and the mind during an Emotional Bodywork course in 2013. This experience still influences her today in her yoga practice and teaching. She values yoga as a body-mind practice and for this reason, in her classes she focuses on giving students enough time to explore what’s happening in their body and mind during poses. As a nature lover, she likes to connect her classes also to elements and imaginary from nature. Wyke is committed to share the true mechanics of yoga with the world and uses her free time to dive into the neuroscientific research done on the subject. Next to teaching yoga, she offers leadership development programs to managers and works as a business and IT consultant throughout Europe.